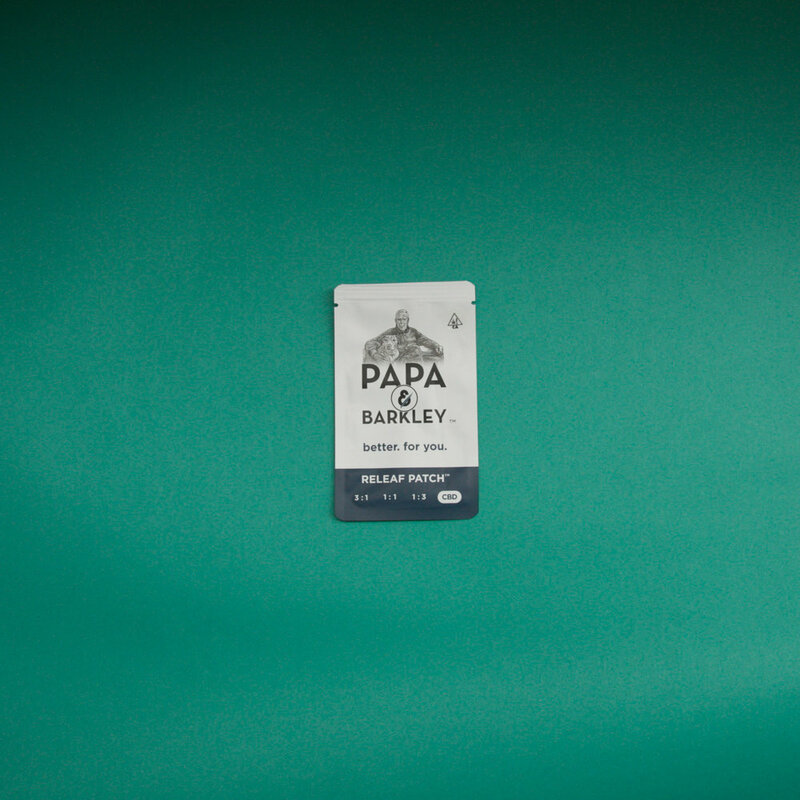 The Papa & Barkley Releaf line was inspired by caring for the ones we love. Pictured below is Releaf Balm, Releaf Soak, Releaf Patches, and our new CBD drops. The heart of the P&B story is the company's namesake, founder Adam Grossman's father ("Papa"), Morton, and his beloved dog, Barkley. After conventional treatments failed to mitigate his father's debilitating back pain, Adam set out to develop his own solution. The result was a natural, more effective, cannabis-based pain-relief balm that helped bring his father out of a bedridden state. Releaf™ Balm: Specially formulated with all natural botanicals and infused with a proprietary coconut-oil soak process, this balm has unmatched terpene content of more than 400mg of cannabinoids per 50 mL jar, activated with the 3-1 THC-CBD Right Ratio. Also offered in a 15 mL jar. Releaf™ Patch: Activated with over 30 mg of cannabinoids per patch in various THC-CBD ratios, the Releaf Patch offers 12 hours of consistent relief through its slow-release formula. Releaf™ Soak: Made with Dead Sea salts imported from Israel and infused with premium whole-plant cannabis-flower resin and a 3-1 THC-CBD Right Ratio, the Releaf Soak allows patients to relax their whole bodies and enjoy an all-encompassing, therapeutic relief. Releaf™ Tinctures: Relief Tinctures provide a holistic, discreet and flexible option for those needing strong pain and anti-inflammatory relief. Our tinctures come in a variety of ratios, allowing you to customize your care to your needs. Our tinctures can be taken under the tongue (sublingually), swallowed, or added to your favorite green juice or smoothie for a micro-dosed boost.